Tasting Tours offers a variety of tours that can wow that special someone with a unique Valentine's Day treat. The Tasting Tours offers a variety of special tours over Valentine’s Day week in St. Augustine from February 13 to 17, 2019. 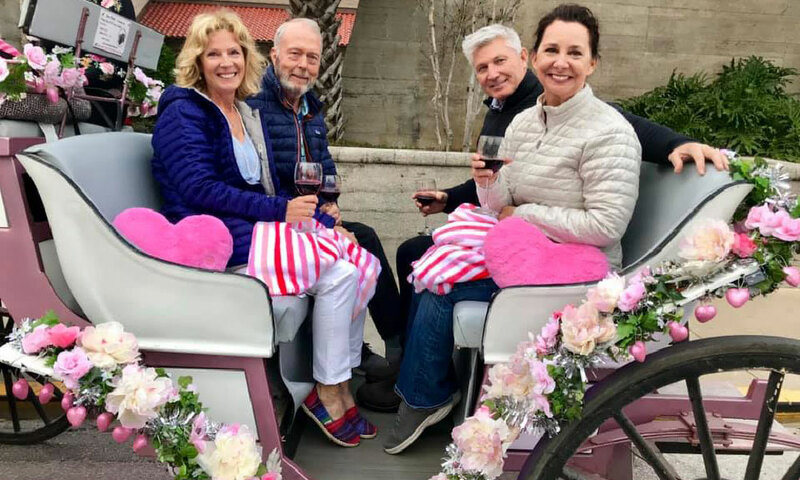 The Valetine's Day tours range from private romantic carriage rides to group tours and a special food and wine tour on a roadster. Guests looking for a romantic ride with their Valentines can opt for the Private Carriage Ride for two. These 45-minute tours are available hourly each night beginning at 6:00 p.m. from February 13 to 17, 2019. $169 per couple. Though the tour is designed for two people, the carriage can accommodate up to four people, with an additional $40 per guest. This tour departs from 47 Cordova Street in downtown St. Augustine. The Wine, Dine & Roadster Tour is available at 1:30 p.m. from February 13 to 16, 2019, with additional tours at 5:30 p.m. on Wednesday and Friday, February 13 and 15, 2019. This is a three-hour tour on the Tasting Tours's red roadster, which can accommodate up to six guests. Prosecco toast included. $109 per person. The Corks & Forks Pairing Tour begins with a "bubbly" toast and ends with something sweet for Valentine's Day. This is a three-hour strolling tour that visits many favorites of local foodies. The price is $89 per person, and the tours depart at 1:00 p.m. from Wednesday through Sunday, February 13 to 17, 2019. Admission: Prices vary -- see details above. All tours are for ages 21 and up only, and all tours require reservations. Visit here or call (904) 325-3911 for details. When: Tours departs at different times and dates over Valentine’s Day weekend, Wednesday, February 13, through Sunday, February 17, 2019. 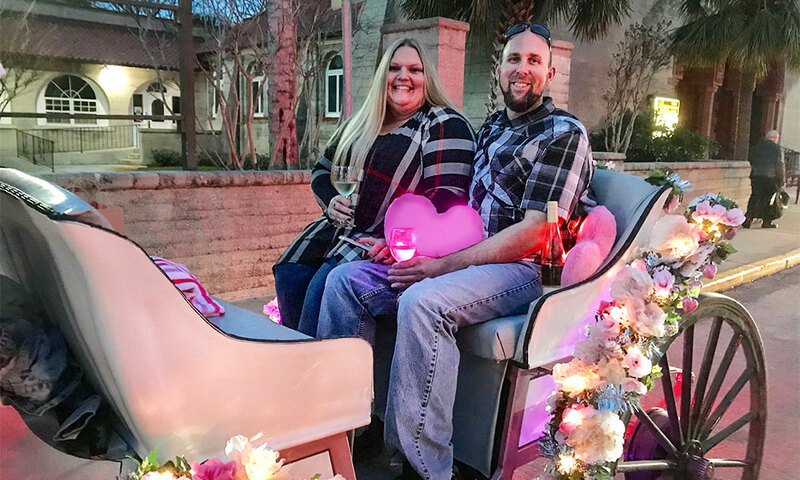 Where: Carriage tours depart from 47 Cordova Street; other tours depart from the Tasting Tours office at 24 Cathedral Place, Suite 401, in in downtown St. Augustine.